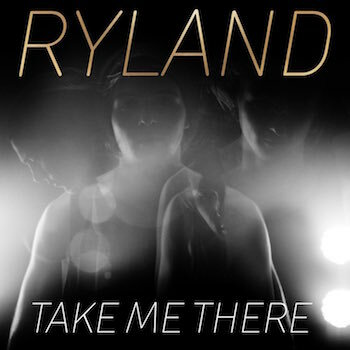 Ryland has officially released his new single titled 'Take Me There.' Ryland first introduced his new single during the 2016 leg of R5's Sometime Last Night Tour. This is Ryland's second single release following 'Fall Back In Love' back in August 2015. This release comes after a slight delay in release from iTunes, which was originally supposed to be released Friday, February 5th. Click here to download your copy from iTunes now. What do you think? We love it! Ryland Lynch has officially announced his new single titled 'Take Me There' set for release on Friday, February 5th. Ryland has been playing his new single on stage during his set on R5's Sometime Last Night Tour 2016 and so far it has been getting rave reviews! This will be Ryland's second single release following Fall Back in Love back in August of 2015. Click here to watch a snippet of his new single played live on tour. Will you be getting his new single when it releases? The nominees of the Nickelodeon Kid's Choice Awards 2016 have been officially announced, and Ross Lynch has been nominated! 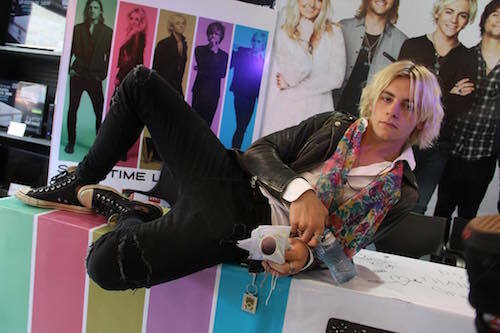 Ross has been nominated for Favorite Male TV Star - Kids' Show for his role as Austin in Disney Channel's Austin & Ally alongside co-star Laura Marano for Favorite Female TV Star - Kids' Show. Their show Austin & Ally has also been nominated for Favorite TV Show. Ross has won the Kid's Choice Awards for his role as Austin in Disney Channel's Austin & Ally for the past 3 years, and Austin & Ally won Favorite TV Show last year, let's continue this streak! Voting is open now! Click here to see a full list of nominees and to place your votes now. The Nickelodeon Kid's Choice Awards 2016 airs on Saturday, March 12th at 8pm and will be hosted by Blake Shelton. Get to voting and let's keep Ross' streak going! Please use this address for fan mail for Ryland only. Rock on and thank you for the gifts, letters, and love you send! A very special and happy 20th birthday to the one and only Ross Lynch! You are a hard working, talented person with a big heart and outgoing personality! May you have a wonderful and safe birthday filled with lots of love, memories, and smiles with many more to come! R5 has announced their first ever live concert DVD! 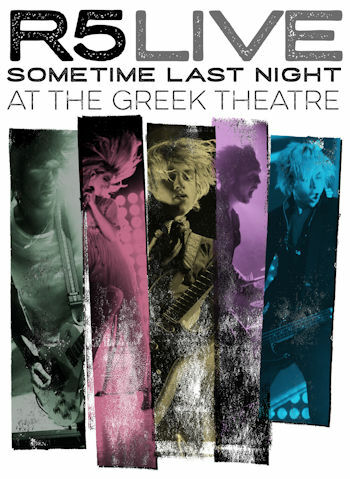 This two disc set (DVD + Blu-ray) captures R5's epic performance at the legendary Greek Theatre on August 23, 2015 in Los Angeles, California. The DVD features over 80 minutes of live music, exclusive interviews with the band and a 48-page photo booklet with live & backstage pictures from their 30 plus summer Sometime Last Night headlining tour. Live performances include high-energy tracks from R5’s debut album Louder such as “Forget About You," “Loud” and “Ain’t No Way We’re Going Home,” groove-heavy, guitar-driven tracks from their latest release Sometime Last Night include “All Night,” “Dark Side” and “Did You Have Your Fun” and fan favorites such as “Cali Girls,” “ Smile” and “ F.E.E.L G.O.O.D.” This is a must own for the legions of R5’s faithful fans, and an excellent introduction to the uninitiated. Available in NTSC Format only. Pre-order your copy now from R5Rocks.com! You can now also pre-order your 2016 R5 Family Fan Club membership with this DVD and more! “Setlist” T-Shirt features the setlist of songs who are included in the “Sometimes Last Night - Live at The Greek Theatre” DVD. Available in NTSC Format Only. Click here to pre-order your membership now! How exciting! Make sure you pre-order your copy now!